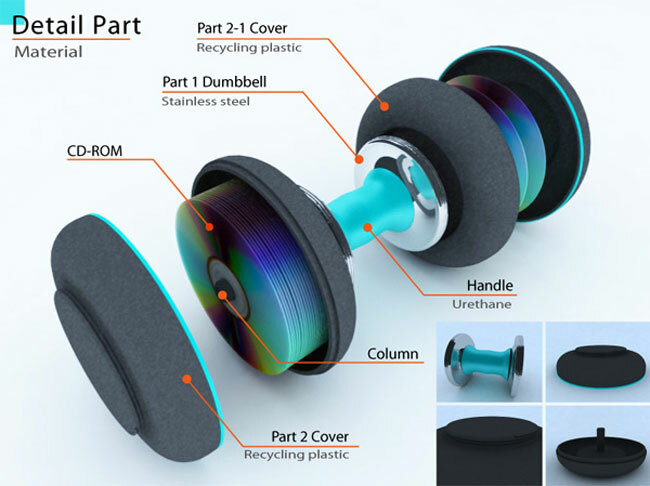 If you have piles of old CD and DVDs discs lying around, you could use this innovative dumbbell concept to put them to good use and even help you workout and add a little muscle at the same time. 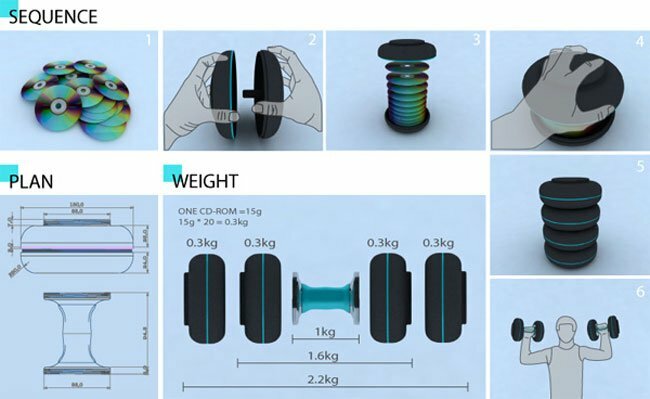 The unique disc dumbbells concept have been designed by Seung-il Kim and allow you to use the old discs as weights within the dumbbells. Recycling those old redundant discs in the process to create a handy pair of weights. An average CD weighs about .15 grams but once combined together they can start to add up nicely and will provide a variable weight for your training needs. unforuntately the disc dumbbells are only a concept at the moment but the idea is definitely out of the box thinking.